We are a nonprofit Community Mental Health Center that has serviced Cheshire County and surrounding areas for more than 100 years. It has the mission to be a source of health and hope for people and the communities in which they live. MFS fosters mental and emotional wellness for individuals of all ages. They create services that heal, education that transforms, and advocacy that brings a just society. 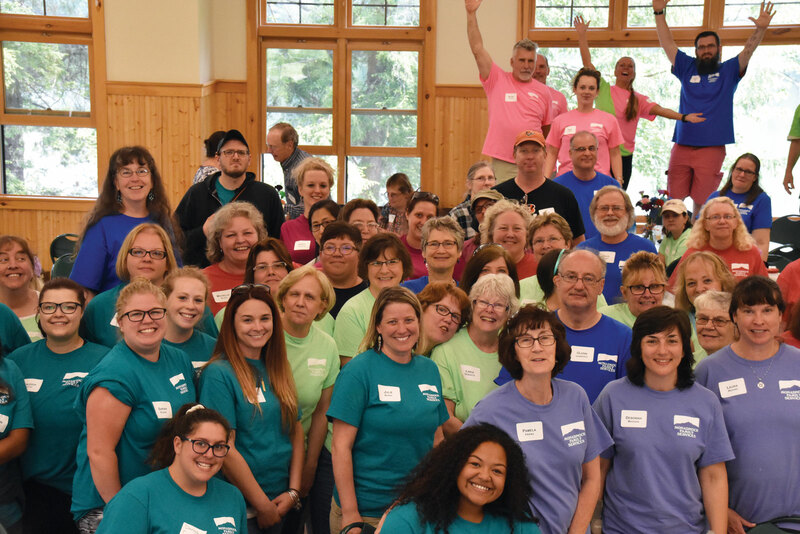 Founded in 1905, Monadnock Family Services (MFS) is a nonprofit, comprehensive, community mental health center serving 35 towns and 110,00 residents in southwestern New Hampshire. Each year, our almost 200 team members serve about 500 children with emotional and behavioral disturbances and 800 adults with mental illness through more than a dozen distinct programs in parent education, youth development, family support, elder care, veterans services, substance abuse prevention and treatment, and individual and group treatment and recovery support for persons and families struggling with mental illness. One of ten community mental health centers in New Hampshire, MFS has seen a significant rise in the numbers of consumers eligible for state supported care needing services each year each year. To be eligible, an adult must meet criteria of need stipulated by statute. Almost all adults served by the agency have either Severe Mental Illness (SMI) or Severe and Persistent Mental Illness (SPMI) according to regulations promulgated by the Bureau of Behavioral Health. Similarly, children and teens are designated as having Severe Emotional Disturbance (SED) or as having that condition plus Inter-Agency Involvement (SED-IA). For eligible adults, the agency offers psychiatric services, case management, supported employment, assertive community treatment and community based rehabilitation services that improve skills and promote the individual’s recovery. In 2014, 48% of all of our clinical services rendered to our population was accomplished in the community.